Green tea is fully loaded with antioxidants. There are some substances present in green tea which helps in increasing the body’s ability which further helps our body from disease free and the degenerative processes of aging slows down. Green tea contain antioxidants known as catechins and polyphenols which helps in stopping the response which is associated with DNA, high cholesterol as well as cancer. 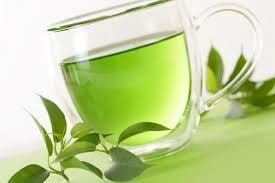 Talking about green tea which is really a well-known digestive stimulant. Green tea helps in reducing intestinal gas and do support for digestive disorders like that of Crohn’s disease and many more. Green tea encourage normal blood sugar. From the ancient time green tea is used as a traditional medicine which helps in keeping the blood sugar level stabilized and the reason behind it is that it regulates glucose in our body. Green tea acts as an immune booster. The chemicals which is being used in the green tea are really up to the mark and helps in promoting a good health in many ways. Green tea helps in lowering down the body cholesterol, and the best thing in the green tea is that it really helps in burning down the bad fats present in our body. Thus it helps in preventing from heart disease. At last but not the least I would like to say that green tea is really good for our health and we should try our level best to consume green tea rather than ordinary tea as it affects our health badly but consuming green tea will take life long and healthy and we should always remember that “Health is Wealth”.